Lab grown meat still sounds like science fiction to most consumers, but Next Nature wants to inspire future lab meat chefs with its new cookbook. The In Vitro Meat Cookbook, which is due out in 2014, offers up a slew of crazy in vitro meat recipes, along with essays and interviews from chefs and scientists who want in vitro meat to become a viable and palatable protein replacement in the future. The world’s first in vitro burger was served up in London over the summer with mixed reviews. Most taste testers found the lab meat a bit too dry, but admitted that the in vitro burger was close to the real thing. 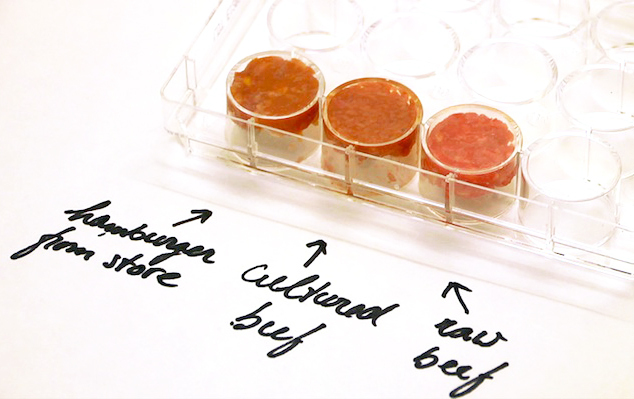 Next Nature, a group from the Eindhoven Technical University, dreams of a future of in vitro meats that push beyond the mundane idea of a lab burger. The In Vitro Meat Cookbook is a speculative volume that investigates the potential limits of lab grown meat, including reviving savories from extinct animals such as dodo bird wings. 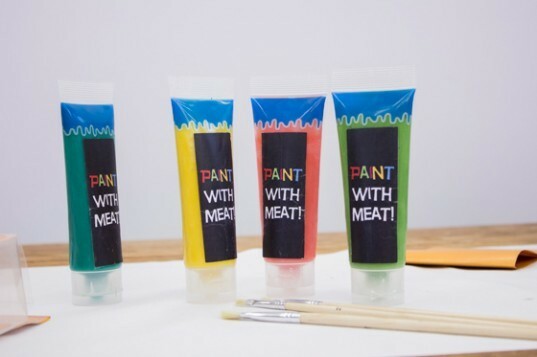 Even more creative, the cookbook imagines an interactive “Meat Paint” that asks children to use the substance for their artistic expression, before being baked and consumed for dinner by the family. The tongue in cheek In Vitro Meat Cookbook may seem like a joke, but Next Nature uses this campy approach to a very real issue of a hungry world faced with having to feed a growing population– and the possibilities that could ensue with this technology.